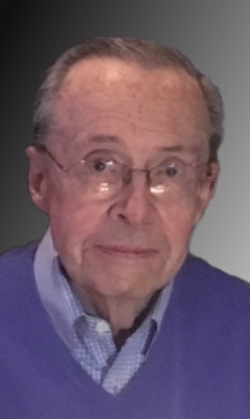 James F. “Jim” Crowley, 77, of the Pawtucketville section of the City, passed away Saturday morning at his home surrounded by his loving family. He was the beloved husband of Susan M. (Conlin) Crowley, who survives him and with whom he celebrated their 54th wedding anniversary in 2018. Born in Lowell, Massachusetts, September 3, 1941, a son of the late James V. and the late Margaret (Gladd) Crowley, he attended Sacred Heart School and was a graduate of Lowell High School, Class of 1960. Jim served his country as a member of the National Guard during the Vietnam War. Prior to his retirement, he was an Institutional Police Officer with the U/Mass Lowell Campus Police for over 25 years. An avid Boston sports fan, especially with the Patriots and the Red Sox, Jim was also a member of the Lowell Lodge of Elks. But most of all, he enjoyed the time he spent with his family. He was a communicant of St. Rita Church. 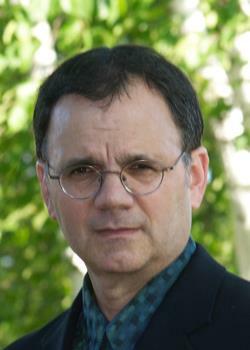 Besides his wife, Jim is survived by his two daughters Sharon M. Beaulieu of Lowell and Laura A. Egan of Nashua, NH; three grandchildren Danielle Beaulieu, James Beaulieu and Ashley Egan; his former son-in-law Gary M. Egan; two sisters Gail M. Prestipino and her husband Mickey of Lowell and Marylou Raffi of Billerica; two brother-in-laws Joseph Conlin and his wife Diane of Tyngsboro and Martin Conlin and his wife Marianne of Florida; many nieces and nephews. 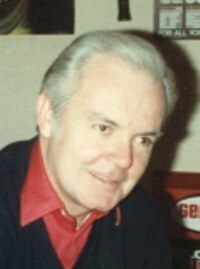 He was also the father of the late Cheryl A. Crowley and brother of the late John M. Crowley. Relatives and friends are invited to his Memorial Visitation to be held Friday morning from 11 A.M. to 1 P.M. followed by his Funeral Services at the Funeral Home at 1:00 o’clock. Committal Services will be held at a later date. E-condolences/directions at www.odonnellfuneralhome.com. Those wishing may make contributions in his memory to Merrimack Valley Hospice,360 Merrimack Street, unit 9, Lawrence, MA 01843 Arrangements by Funeral Director James F. O’Donnell, Jr. (978) 468-8768. Catherine (Andriopoulos) Kyriakos, 102, of Lowell, died Saturday, January 19th at the Willow Manor Nursing Home in Lowell. She was the beloved wife of the late George Kyriakos who died in 1974.
in Lowell, Massachusetts, April 27, 1916, a daughter of the late Christos and the late Anna (Masias) Andriopoulos, she received her education in the Lowell system. Before retiring, Catherine was employed as a stitcher in the Lowell Mills Shoe Factory. Among her many activities, she enjoyed cooking and entertaining. 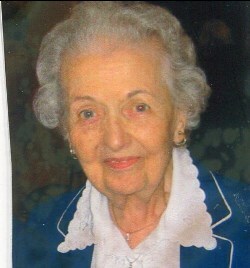 She was a member of and very active with the Hellenic Orthodox Church of the Holy Trinity in Lowell. Catherine is survived by four nieces Linda Andros of Marblehead, MA, Charlene Freidman and her husband Ronald of Menlo Park, CA, Joanne Surabian of Winchester, MA and Debbie Tumas and her husband Paul of Nashua, NH; two nephews Christopher G. Andros of Lowell, MA and Dr. Christos Bacos and his wife Lorraine of Andover, MA; and several grandnieces and grandnephews. 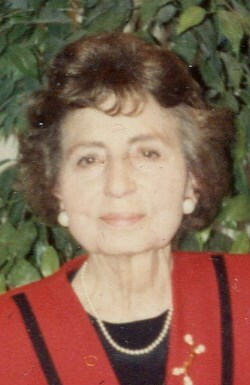 She was also sister of the late George C. Andros, Charles Andros and Mary Bacos. KYRIAKOS – In accordance with her wishes, there will be no calling hours. Relatives and friends are invited to attend her Funeral Service on Friday morning at the HELLENIC ORTHODOX CHURCH of the HOLY TRINITY at 10 o’clock. Burial to follow at Westlawn Cemetery. E-condolences at www.odonnellfunerlhome.com. Those wishing may make contributions in her memory to the Hellenic Orthodox Church of the Holy Trinity, 62 Lewis St, Lowell, MA 01854. Arrangements by the O’DONNELL FUNERAL HOME, Lowell, MA (978) 458-8768. William Robert Elliott, Sr., 86, a lifelong resident of Lowell, died Monday, January 21st at his home with his loving family by his side. He was the beloved husband of 62 years to Hannelore (Hennes) Elliott who survives him. Born in the Acre section of Lowell, Massachusetts, September 11, 1932, a son of the late Francis J. and the late Mary A. (Glynn) Elliott, he attended St. Patrick School and Lowell High School. A veteran during the Korean Conflict, he proudly served his country with the rank of Corporal in the U.S. Army stationed in Germany. Among his many activities, he was a past Commander of the American Legion Post 247 in Tyngsboro. In addition to his wife, William is survived by a daughter Monica A. (Elliott) Dean of Hampsted, NH; five sons Daniel J. Elliott, Francis X. Elliott, Stephen M. Elliott all of Lowell, MA, Lawrence K. Elliott of Dracut, MA and Martin P. Elliott of Lowell, MA; five grandchildren; and one great-granddaughter. He was also father of the late William Robert Elliott, Jr. and brother of the late Francis Elliott and the late Mary Leahy. In accordance with his wishes, there will be no calling hours. 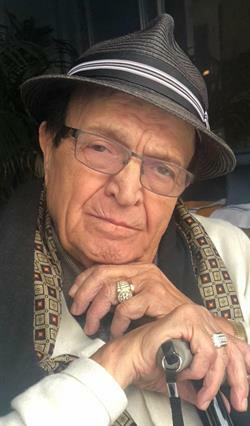 Relatives and friends are invited to attend his Funeral Mass to be celebrated on Friday morning at ST. PATRICK CHURCH in Lowell at 10 o’clock followed by his burial at St. Mary Cemetery. Those wishing may make contributions in his memory to Circle Home Hospice, 847 Rogers St, Suite 201, Lowell, MA 01852. 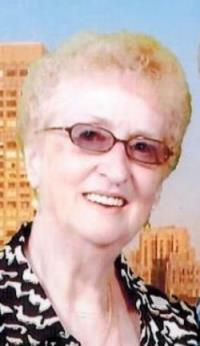 Joanne C. (Diette) Bond, 79, a longtime resident of South Lowell, passed away peacefully Friday evening at Lowell General Hospital surrounded by her loving family. She was the beloved wife of John J. “Jack” Bond, with whom she recently celebrated their 57th wedding anniversary on July 1st. Born in Lowell, Massachusetts, November 19, 1939, the daughter of the late Arthur F. Sr and the late Katherine (Moran) Diette, she attended Lowell schools and was a graduate of Lowell High School Class of 1957. For over 30 years, Joanne was a poll worker for the City of Lowell Elections Department until her retirement. She was an active volunteer in the community throughout her life including 15 years at Lowell General and several public school PTO’S over the years. Joanne enjoyed spending time with her family, was an avid walker. Loved to knit and crochet, enjoyed music (especially Cajun and Celtic Rock) and attending concerts, reading, birds, animal wildlife, baking, cooking and living life to the fullest. Besides her husband, Joanne is survived by three sons John J. Bond, Jr. of Rhode Island and his companion Rosanne , Michael Bond of Dracut and his companion Darlene and Steven Bond and his wife Lynne of Lowell; two daughters Kelly Garas and her husband Anthony of Hudson, NH and Karen Garrigan and her husband Ned of North Chelmsford; eleven grandchildren Stephanie, Samantha, Tabitha, Brady and Serena Bond, Zoe, Andrew and Sophia Garas, Skyla, Miranda and Cole Garrigan; her sister –in-law Sally Diette of Lowell; and many nieces, nephews, cousins and very dear friends. She was predeceased by her brother Arthur F. Diette Jr. Relatives and friends are invited to visit a Celebration of Life for Joanne to be held Friday afternoon January 25, 2019 at THE PRINCETON STATION, 147 Princeton St., NORTH CHELMSFORD, MA between 2:30 and 5:00 P.M. E-condolences at www.odonnellfuneralhome.com. In lieu of flowers please send donations to Lowell General Hospital Cancer, c/o the Philanthropy Dept., 295 Varnum. Ave., Lowell, MA 01854 or Massachusetts Down Syndrome Congress, 20 Burlington Mall Road, Suite 261 Burlington, MA 01803.Arrangements by the O’DONNELL FUNERAL HOME – LOWELL – (978)-458-8768. John C. "Jack" Donohoe, Jr.
Kathryn “Kay” (Kenefick) McPhillips, R.N.